I support parents and caregivers in their challenging and sometimes overwhelming endeavor to raise assertive and loving people. I believe health is a gift that requires nurturing and care. I recognize and sometimes utilize alternative as well as standard approaches. I enjoy caring for babies, toddlers, school-age children, and teens." Growing up in England, Malaysia, and Germany, Dr. Bix has a true appreciation of diversity and is passionate about equality for all – no matter your circumstances or quirks! That’s one of the reasons she loves working for Metropolitan Pediatrics, where providers and patients alike come from a variety of unique backgrounds. 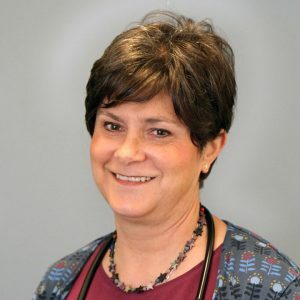 Although Dr. Bix has resided in the US since her residency and internship at Philadelphia’s Albert Einstein Medical Center, she still maintains British citizenship. She became an Oregonian in 1995. Throughout the years, Dr. Bix has learned that there are many ways to accomplish the same goal and advocates always being nice to your kids especially when they may not “deserve” it. Challenging moments will pass. Dr. Bix has teenage twin sons, one with spina bifida, and an adult daughter. She’s still trying to determine which teenager is more trouble, the typically or atypically developing twin. To unwind, she enjoys reading and skiing. And you wouldn’t know if she didn’t tell you, but she’s fluent in German and also speaks a tiny bit of French. "Dr. Bix has been my son's pediatrician since he was born and she's always been amazing. She routinely goes above and beyond and genuinely cares about her patients. The office is super easy to deal with. Highly recommended." "Dr. Bix is a wonderful pediatrician, she's attentive, knowledgeable and easy to relate to."